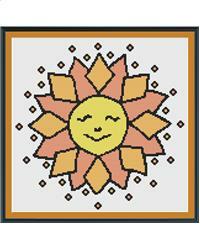 A collaboration between artist and cross stitch designer produced this fun design called Ditsy Sun. Original artwork from Amy-Elyse Neer. This would look great stitched as a cushion front or simply hung on your wall to brighten your day!